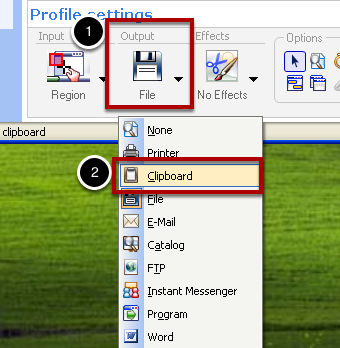 Learn how to set SnagIt to output to the system clipboard. You can then turn on the Clipboard Recorder in ScreenSteps and use SnagIt to capture images for your ScreenSteps lessons. 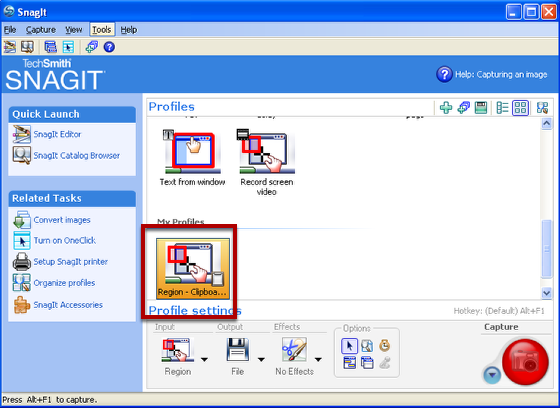 Open SnagIt and select the profile you would like to use. Set the Output setting to Clipboard. 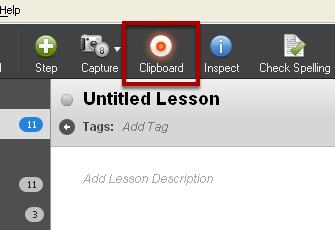 Create a new lesson in ScreenSteps and turn on the Clipboard Recorder. Now, any image you capture with SnagIt will be added to your ScreenSteps lesson. Thank you for posting this. I was browsing through the web to see if I really need to download SCREENSTEPs when I already have the latest version of SNAGiT (which is a wonderful tool btw) Now I know.. thanks!